As a child going into my teens, I was a voracious reader, devouring everything up to and including my parents' books, some of which were probably decidedly inappropriate at the time (Ian Fleming, Georgette Heyer, and Alexander Kent). But into my twenties I settled into focusing on a genre I later came to know as science fiction romance: adventure stories which, to borrow from a relevant franchise, allowed me to boldly go where I'd never gone before! While I'm currently suffering from reader's block (at least, that's what I call it - an inability or maybe reluctance to get into anything new and even struggling with going back to old favourites), I thought I'd share the last five books that I loved enough to rate them five stars (and trust me, I am super picky!). Nikki’s been to the deepest pit of darkness in the universe and lived to tell about it, barely. But, to move forward with her life, she must first go back to Thetos – where a buried secret and her father’s promise await her return. Despite her independent, defensive nature, she lets Brom into her world and under her skin bit by bit. With her Trexen biology clawing its way into fruition, including unwanted side effects like mind-reading and a deadly temper, she struggles to see herself as worthy of her father’s intellectual legacy. 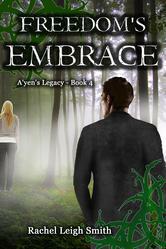 The more she reveals to Brom, the faster she expects him to leave. She quickly learns Orellians don’t give up so easily, and Brom’s as stubborn as they come. But someone’s been waiting for Nikki’s return and the secret she guards. Its discovery could mean a chance at peace, or lead to all out war. In the wrong hands, even the best intentions can lead to catastrophe, and a promise can decay into regret. Verity Fortune's crime-fighting days are over. In exile, defeated by her smug supervillain nemesis, her shady past exposed—even her own superpowered family condemns her as a traitor. Whatever it takes, Verity's determined to prove she can still be a force for good. Now, Sapphire City faces a new threat: a delinquent duo with extraordinary powers and a terrifying talent for destruction. 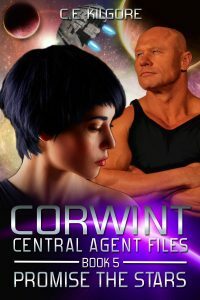 Outmatched and on the run, her telekinetic powers faltering, Verity can't defeat this menace alone—but whom can she trust, when the only person who believes in her is her arch-enemy? I loved this book and I'm addicted to this series. Verity's constant doubts that she's a good woman, a superhero, or in any way beautiful or worthy of even friendship make for some great inner angst and romantic tension. There is action aplenty, smexiness, and interesting twists and turns. While this wrapped up its own story and some of book one, there is still plenty unresolved for at least one more book (hopefully more). 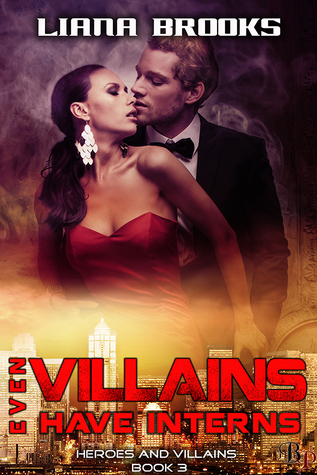 For those who love superheroes, sassy repartee, sweet heroes and dyed to the bone evil villains with lots of action and some nicely done smexiness. Oh, and for those who think body count in a superhero book should be more realistic than Hollywood. It's Chicago's favorite city son vs Delilah, daughter of Dr. Charm. America's second city will never know what hit it. Bootleggers, drug dealers, crooked cops, and dirty politicians... Chicago has always had a reputation for indulging in the finer vices of life. That’s why Doctor Charm’s favorite daughter found America’s Second City so appealing; criminals are never boring. As second in command for the powerful Subrosa Security group, Delilah Samson finds opportunities to use her superpowers at every turn. Whether it’s stealing a priceless French painting from a mobster or stopping a drug deal, she’s game. In fact, the only thing she doesn’t care for is Chicago’s favorite native son, Deputy Mayor Alan Adale, the man who made Lucifer jealous. Sinfully handsome, or possibly just sinful, Adale has been pursuing Delilah since she first arrived, and she’s been dodging. When she finds ties between the new kingpin in town and a drug The Company wants to buy so they can create more superheroes, Delilah takes the gloves off. Teaming up with the spooky Spirit of Chicago, she aims to take down the dealers, the mobsters, the kingpin, and The Company. All without falling in love with the one man capable of capturing her heart. 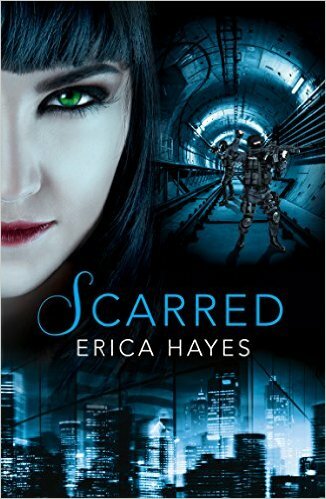 Anyone who loves superheroes, and likes their romance on the sweet and sensual side rather than explicit will adore this. There's plenty of action, a hint of comedy, snarky repartee, and intrigue, all packed into this delightful novella. Buy the series! Pippa, thanks for adding your take on the books! All I can say to your list is "Wow!!!" Great post, Pippa! These all sound like great stories. I will certainly try one or two. Thanks for sharing these. I've been wondering about the state of SF Romance these days. I'm not into shapeshifters or superpower villains. However, I do like space opera so will definitely pick up at least one of these.